I am watching the hearings, Hilldog is a pathological, psycho bag of sh**tt, I can't stand looking at this worm. POWER is a drug & this parasite is addicted, this creature would eat human fetus raw to get on the throne. Her disgust of congress, the committee, the American people is evident. She is quick, lies with the airs of a untouchable.. I pray the people see through this creatures masquerade!! Rawboned, unadulterated evil on steroids. Pompeo's last round of questions alone forced her into half a dozen plus possible cases of perjury. Judge Napolitano had great confidence earlier today, speaking on FOX, that the FBI watching her testimony were independent and fully capable of bringing charges. Several of the Republicans did good work today. She's got trouble, well, more anyway. Hillary Clinton sent an email to her daughter, Chelsea, on Sept. 11, 2012 in which she asserted that an al-Qaida-like group was responsible for the terrorist attacks in Benghazi, it was revealed on Thursday during the former secretary of stateâ€™s testimony to the House Select Committee on Benghazi. The email, which was revealed by Ohio Rep. Jim Jordan, indicates that Clinton knew early on that the attacks which left four Americans dead was carried out by terrorists. But as Jordan pointed out, Clinton and others in the Obama administration had already begun crafting the narrative that the attack was spontaneous and that the attackers were motivated by a YouTube video many Muslims found offensive. POWER is a drug & this parasite is addicted, this creature would eat human fetus raw to get on the throne. Her disgust of her congress, he committee, the American people is evident. She is quick, lies with the airs of a untouchable.. I pray the people see through this creatures masquerade!! â€¦ tell us what you REALLY think! Your absolutely correct, you have the big picture, common sense and your research- Sasha. The characterization Hilldog played on was her pathetic, sickening- ability to act as if she were innocent,congress was a simply a minuscule peon crew of nitpicking pimples- attempting to slander her glorious career, SHE IS a psychopath, slippery,clever, without basic human emotions. The problem is , due to her act the GP may be led to believe she is resilient and informed, despite the fact she is nothing but well rehearsed- power monger. The FBI, will they truly dig up the dirt on this layer of scum, not if Holder has anything to say. This creature has her claws in every pie-the money, and dirt on many pols, agency's, etc.. It amazes me she declared she was blameless in the release of e-mails and content, that she knew nothing , her lawyers made the decision what was to be released. That she actually gawfawed, laughed in the faces of congress truly pizzed me off..God have mercy on the GP, and the nation if the people fall for her act.. I watched the hearings from beginning to end .... Hillary is pathetic there is no doubt all we can hope is that the FBI gets her ....... Watching the Republicans chew on her was pretty sweet but Cummings and the Dems were disgusting seems like the Dems were just trying to get her elected. The email to her family and the egyptian gov was something new and proved that she is exactly what we thought a damn LIAR ! The United States had an unmanned Predator drone over its consulate in Benghazi during the attack that slaughtered four Americans â€” which should have led to a quicker military response, it was revealed yesterday. â€œThey stood, and they watched, and our people died,â€� former CIA commander Gary Berntsen told CBS News. The network reported that the drone and other reconnaissance aircraft observed the final hours of the hours-long siege on Sept. 11 â€” obtaining information that should have spurred swift action. But as Ambassador Christopher Stevens and three colleagues were killed by terrorists armed with AK-47s and rocket-propelled grenade launchers, Defense Department officials were too slow to send in the troops, Berntsen said. On the eve of Wednesday's House Oversight and Government Reform Committee hearing on the terrorist attack against the U.S. consulate in Benghazi, Libya, the Obama administration's already tenuous story of what had happened there on Sept. 11 completely unraveled. Knowing officials would be questioned the following day under oath, the State Department hastily arranged a conference call for the press to admit there was never any anti-American protest staged outside the Benghazi mission -- just an organized attack by well-armed militants. Four Americans were killed in the attack, including U.S. Ambassador Christopher Stevens. 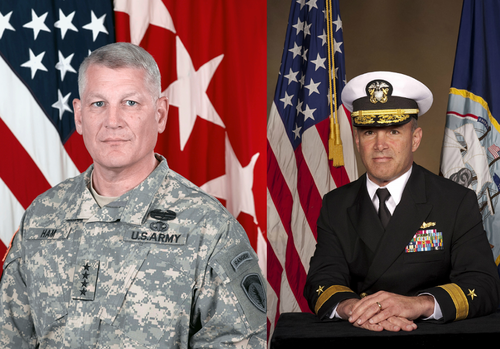 A shoe drops... - Notice that the MSM is NOT covering the removal of the TOP General/Admiral in the region!!! Just two days after President Obamaâ€™s re-election, General David Petraeus, the CIA Director, has resigned from the administration over an extramarital affair. Petraeus was slated to testify before Congress next week on the murder of four Americans, including Ambassador Chris Stevens, in Benghazi, Libya. Bret Baier of Fox News just tweeted, "With Petraeusâ€™ resignation effective immediately, he will not testify next week & lawmakers are said to be 'stunned' by the announcement." This is only the latest in a string of groundshaking events demonstrating that the Obama administration hid information vital to the American people during the last days of the 2012 election cycle. The fact that the most respected soldier of his generation, Petraeus, would be leaving the administration during an Obama second term, had to be known by the White House prior to the election. And they said nothing in order to run out the clock. The fact that Attorney General Eric Holder was considering stepping down from the administration had to be known by the White House prior to the election. Meanwhile, during the election cycle, the Obama administration claimed executive privilege in order to shield Holder from questions about Fast and Furious. The fact that an American drone was fired upon in international airspace by Iranian airplanes was hidden from the American public for a week in order to prevent the American public from recognizing the failure of the Obama Iranian foreign policy. The facts in Benghazi were lied about by virtually every member of the Obama administration for weeks upon weeks. The fact that the administration had been slow-walking reams of vital regulation to beyond the election in order to avoid scaring off voters was hidden from the public. Now that the Obama administration has succeeded in winning a second term, they are cleaning house. The two figures most linked to the disaster in Benghazi, Secretary of State Hillary Clinton and Petraeus, are gone. The figure most linked with Fast and Furious, Eric Holder, will be gone. The figure most linked to the administrationâ€™s economic failures, Secretary of the Treasury Tim Geithner, will be gone. Only Obama remains. He ran out the clock on his scandals, and now throws anyone associated with them overboard. The Petraeus resignation is only the most recent evidence that the Obama administration will lie to the American people to achieve its ends. But with all of his experts gone, Obamaâ€™s cabinet will now be staffed by the political C team in a time of crisis, both domestically and internationally. Leon Panetta has denied that military aircraft could have intervened in the Benghazi consulate attack to save the lives of the U.S. ambassador and three other Americans. The Defense Secretary told Congress that there were no planes close enough to defend the diplomatic mission from the terrorist assault on September 11. Secretary of State Hillary Rodham Clintonâ€™s long-awaited testimony about the Sept. 11 attack on a U.S. diplomatic outpost in Benghazi, Libya, began Wednesday morning in an appearance before the Senate Foreign Relations Committee, and continued in the afternoon with the House Foreign Affairs Committee. The two-and-a-half-hour morning session and three-hour afternoon hearing were not short on drama. Below we take a look at the most memorable moments from the proceedings. But there was, less expectedly, a scene that will surely be replayed in attack ads and echoed (and possibly distorted) in the Republican primary campaign, assuming that Clinton does run. It came in an exchange with Senator Ron Johnson, a Republican from Wisconsin. 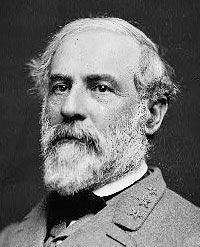 Like many of his colleagues, he goaded. (â€œI realize thatâ€™s a good excuse,â€� he said when Clinton talked about not interfering with investigations.) She lost her patience when he said, not for the first time, that she could have found out what was going on at the consulate easily enough if she wanted to. Clinton: With all due respect, the fact is we had four dead Americans. Clinton: Was it because of a protest or was it because of guys out for a walk one night who decided theyâ€™d go kill some Americans? What difference, at this point, does it make? It is our job to figure out what happened and do everything we can to prevent it from ever happening again, Senator. Now, honestly, I will do my best to answer your questions about this. But the fact is that people were trying in real time to get the best informationâ€¦.But, you know, to be clear, it is, from my perspective, less important today looking backwards as to why these militants decided they did it than to find them and bring them to justice, and then maybe weâ€™ll figure out what was going on in the meantime. â€œWhat difference, at this point, does it make?â€� In regard to the Republican obsession with Susan Riceâ€™s â€œMeet the Pressâ€� appearance, that is a reasonable question. Perhaps frustration was also driving Clinton, but thatâ€™s not how she framed it. What she went on to say is not so controversial: Chase them down first, keep this from happening again. Donâ€™t get caught up in the mystery of hate. The reply would be that knowing why people do things helps to prevent them from happening again. (Ironically, it is more often Republicans who are impatient with discussions about whatâ€™s going on in the hearts and minds of men with guns.) The line alone, though, sounds painfully dismissive. The Timesâ€™ Lede blog points out that #WhatDifferenceDoesItMake is already a hashtag, and not one used by Hillary fans. Her unfortunate defense might be that the reading of the line depends on what the meaning of â€œitâ€� is. Washington (CNN) -- At times angry and choked with emotion, Secretary of State Hillary Clinton on Wednesday took on Republican critics of her department's handling of the September terrorist attack in Libya that killed the U.S. ambassador and three other Americans, but repeatedly distanced herself from a direct role in specific situations. "As I have said many times since September 11, I take responsibility," Clinton told two long-anticipated congressional hearings examining the attack that became a major issue in the November presidential election. Conservative Republicans challenged Clinton on the lack of security at the diplomatic compound in Benghazi, where Ambassador Christopher Stevens and three others were killed, as well as the erroneous account provided four days later by U.N. Ambassador Susan Rice that the attack grew spontaneously from a protest over an anti-Islam film produced in the United States. Hillary Clinton faced accusations of incompetence, evasion and obfuscation by angry members of Congress at two hearing into the deaths of the US ambassador to Libya and three other Americans in Benghazi last year. Although the US secretary of state was roundly praised for her "extraordinary" work as she prepares to leave office, she came under strong criticism over her handling of the attack on the US consulate in Benghazi on September 11. The neocons, backed by the MSM are attempting to make it appear Hilldog is the victim of GOP abuse as if the hearings are A political move.. This creature was preped, her moves were not clever- they were sinister..
Get a load of this propaganda. 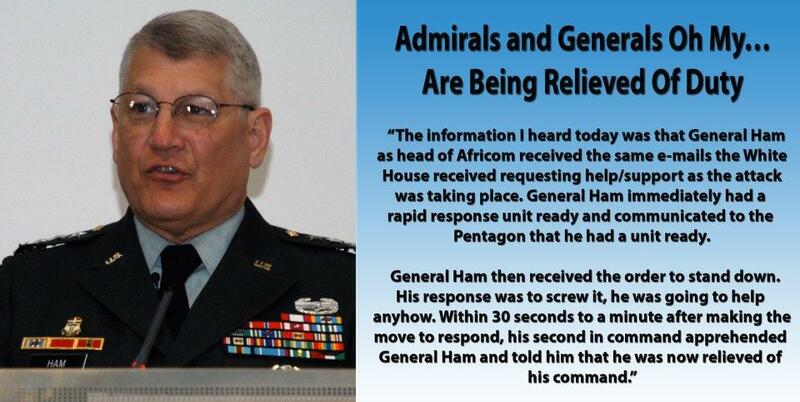 The spin is in..It sickens me! - Hillary Clinton's 11-hour Benghazi testimony was her best campaign ad yet ... making clear that the Benghazi investigation was designed to hurt her politically ... and one that, improbably, made Clinton look more presidential. Washington (CNN)Hillary Clinton avoided major damage to her presidential campaign during a nearly 11-hour congressional hearing Thursday dominated by Republican criticism of her response to the Benghazi attacks. As I have said before I do not have a dog in the the fight when it comes to Hillary on the who you vote for ( Rep Dem I am not living in the USA ) . 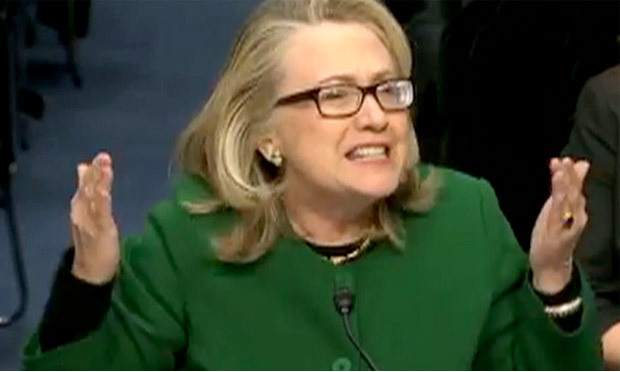 I have watched some of The Benghazi hearings and nothing has changed my mind about that woman she is a wicked witch. According to CNN Hillary is getting MASSIVE $ contributions after the Bengahzi hearing. It is un muckenreal, the elites MSM played this one up to the hilt, those who contributed to this bloodsucking freak should be an embarrassment to true Americans. She literally pizzed in the face of this nation, its safe to say the powers on high script their underlings. How can a human being remain with a drop of dignity /honor be cheering for this worm. Poor lil Hillary was questioned, yuh well ----------Americans lost their lives. Hiily gets nailed. Yes, exposed- only one of the many. Benghazi....The takedown of underlings running weapons. Hillary didn't blink an eye, Stevens operation was was about to be exposed far to many were involved, for Clinton the solution was simple, wack em out and lay blame on a freaky video reaction. The crew got way with it, stalled, blanketed it far to long, their audacity confirms the fact they consider the citizens moronic. The crux of this, Stevens and his CIA buddy's were disposables. The Clinton crew have the goods on greater % of their pols than we can imagine, she is definitely protected. If she appeared to be crumbling under pressure she too would go for the deep six, she worked for the big dogs, given power, fame, oodles of money, a free pass from legal prosecution ,yet, I am convinced she too is expendable and believe she is well aware of it. The final GOP-authored House Benghazi report released Tuesday will offer new details of a two-hour video teleconference call the night of the attack, a session led by White House Chief of Staff Denis McDonough. Clinton and top Defense officials were also on the call, which was supposed to center on how to get Americans out of harm's way. But a substantial part of the discussion, GOP investigators said, centered on how and why the attack happened rather than narrowly examining potential rescue plans. Half of the action items people wrote down in the meeting didn't have to do with evacuation; many of them were about an anti-Islam video, which the administration would incorrectly blame for the violence. The report also found that a State official brought up a question about whether Marines should wear civilian clothing instead of their uniforms. Under secretary of State for management Patrick Kennedy told investigators he wanted to ensure that security was enhanced, not hurt by flags on the uniforms of any U.S. military presence. But, one commander told the committee that as they were readying themselves to deploy they kept having to change in and out of their uniforms four times. The military never deployed to Benghazi. Looks like these depts still have Obama Clinton swamp dwellers protecting them. Time to fire more of these traitors! Four years won't help her. It's just too rich that she smells and that flies are attracted to her for it. She didn't win against Trump, and she won't win a 2020 no matter who else is running. Goes for her dumbed-down daughter, too. 2. Those who are going to fall. 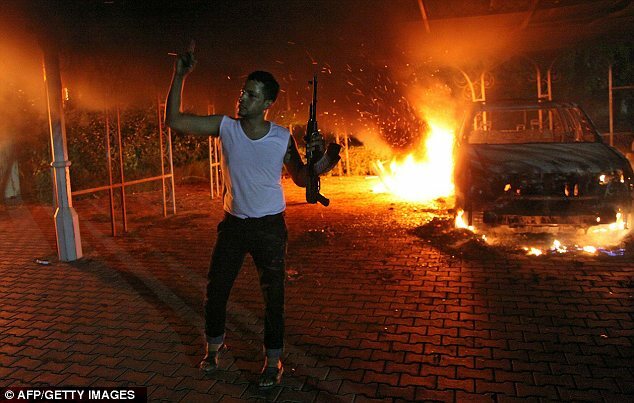 Benghazi revelations are part of what revealed the crimes of arming the terrorists. Clinton and Obama should have been held accountable on this also, but they and their globalist buddies continue to be protected. There is no justice until the real perps start being put behind bars - the globalists who initiate, fund and foment all the insanity happening!